Pioneers in the industry, we offer square electromagnetic chucks, magnetic machine bed, electro permanent magnetic chuck - 75 mm pole, round permanent electromagnetic chucks, permanent electromagnetic chucks and self clamping magnets from India. Our company is widely appreciated for offering Square Electromagnetic Chucks to the clients. These products are widely used for light machining and grinding inspection purposes. Square Electromagnetic Chucks are manufactured under the guidance of professionals using high quality raw material so that the final range meets with the industrial quality standards. Offered range is checked by a team of quality controllers on various parameters like strength and finishing. 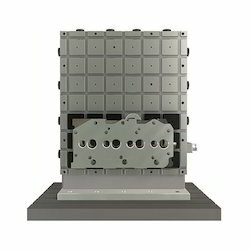 Unobstructed movement of tools during machining as all five faces of the job can be machined in the same setting. 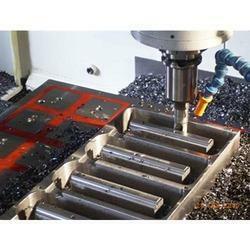 Drastically reduces the setup time and machining of the work pieces. Total magnetic surface used for clamping giving better machining accuracy as reducing chattering. A minimum of 4/8 alternate poles contact is necessary for optimum clamping. Minimum thickness of job: 10-15 mm. AUTOMATIC SHIMMING: Mobile pole extensions allow clamping and uniformly support work pieces even with uneven surfaces, achieving high accuracies of planarity. 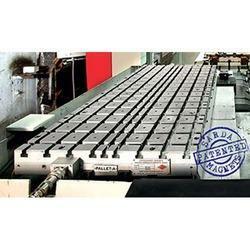 Keeping the track of latest happening in this domain, we have been able to manufacture and supply the best quality of Magnetic Machine Bed. 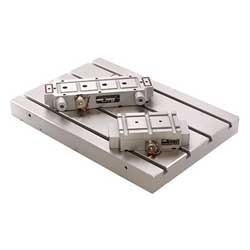 The offered magnetic machine bed is used for different milling purposes. Owing to its optimum functionality and ease of operation, the offered magnetic machine bed is highly demanded. Magnetic Pole Size: 75 x 75 mm. Reduce Clamping/ De-clamping time in CNC machines drastically resulting in increased production. Our company has mastered the art for providing Round Permanent Electromagnetic Chucks to the clients. These products are available for customers in different sizes and grades as per the needs of clients. Round Permanent Electromagnetic Chucks are widely appreciated among our clients for several attributes such as robust construction, outstanding quality and many more. 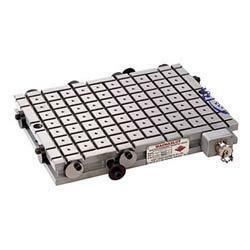 Offered range is tested on various quality parameters by quality controllers. Perfect safety in case on power failure No electricity needed to keep the magnetic chuck ON. Power from all poles transferred to rings/ plates held in centre. Radially movable location blocks will help to position and secure work pieces (bearing rings, trust bearing, etc. ); this is also necessary for clearance of the cutting tool or wheel. Mobile Pole extensions ensures perfect clamping of irregular with pieces and machining this flat and parallel. For power connection bayonet connector is recommended when the chuck is intended to be used in different machines. Carbon Brush Holder with brass collector slip rings is fitted on the machine spindle for power supply. It is recommended when the chuck is for a specific machine. Our company has created niche in offering Permanent Electromagnetic Chucks to the clients. These products are widely used during the production of plain grinding machine, discharge processing machine, carving machine and processing center. Permanent Electromagnetic Chucks are available in varied specifications as per our clients need. Offered range is important equipment used for holding ferro-metallic pieces. These products are widely appreciated among our clients'. Perfect safety in case of power failure No electricity needed to Keep the Electro Permanent Magnetic Chuck ON. Our company is the major company known for providing Self Clamping Magnets to the clients. Offered range is made by using optimum quality material and latest technology. These products help in precise setting of any angle in metal working and is also used to remove ferrous chips or particles from corners, slots, blind or taping holes. Self Clamping Magnets are tested under different quality parameters to ensure that best quality product is delivered to our customers end. 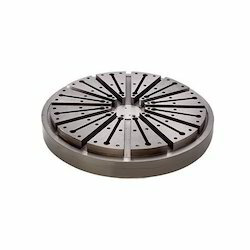 Looking for Magnetic Chuck For Milling ?